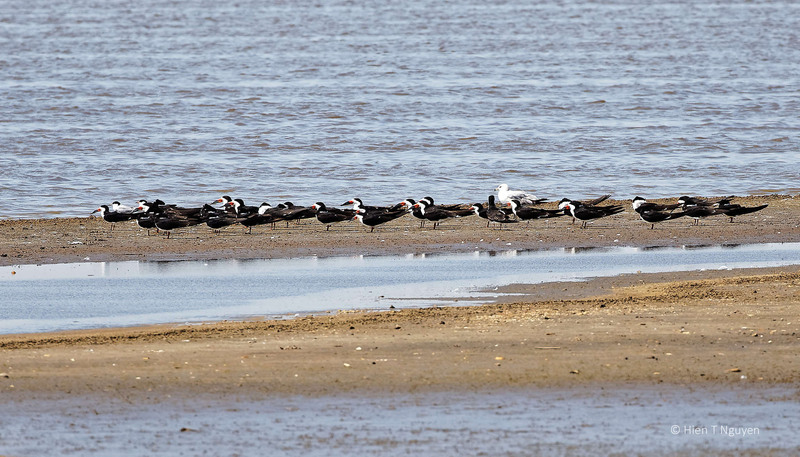 A flock of Black Skimmers, those amazing birds that draw perfectly straight lines with their beaks on the water as they look for fish, was parked on a sand bar at the refuge. 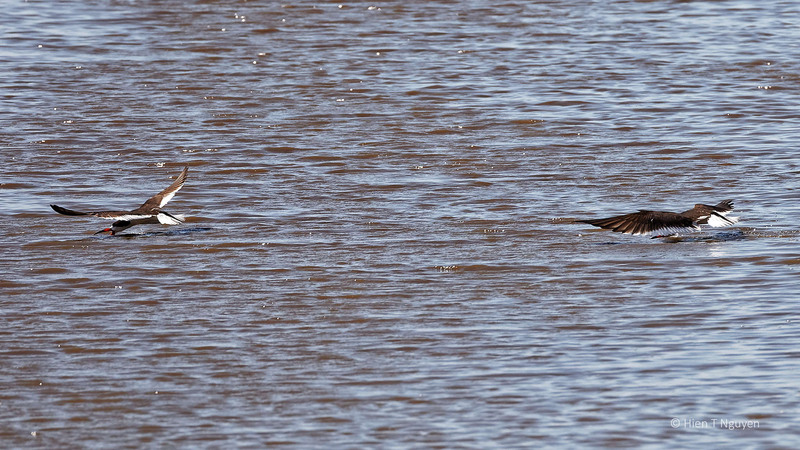 They were quite far away from me, and those that were fishing were flying fast. 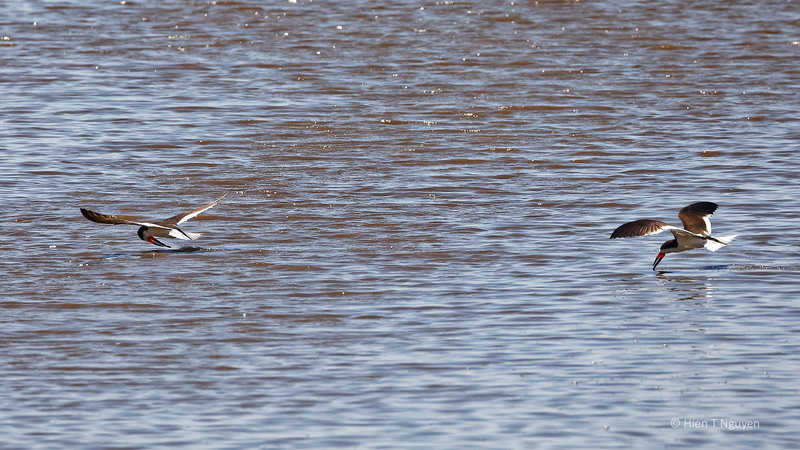 Two Black Skimmers. The one in front must have just missed a fish. Here’s a picture of one that I took last year. Here’s one from 2015 where the straight line is seen clearly. You have a way of picking my favorite birds – I’m sure they’re not ALL my favorites! 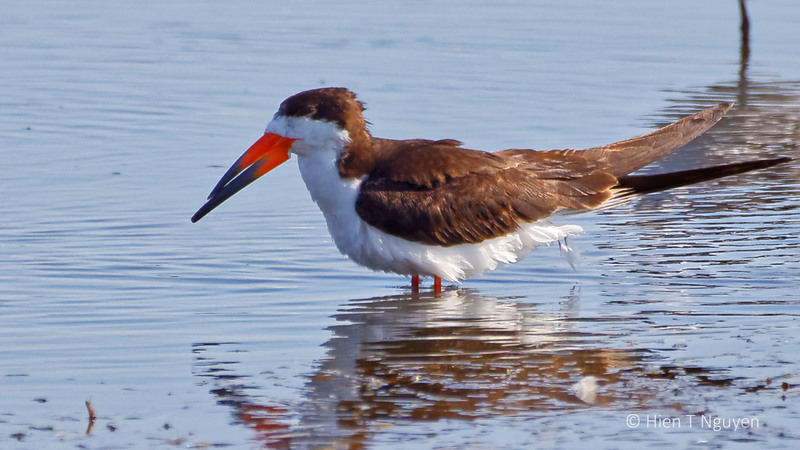 But I do love Black skimmers, and this post sums them up so very well. It’s another bird I miss seeing, oh well! 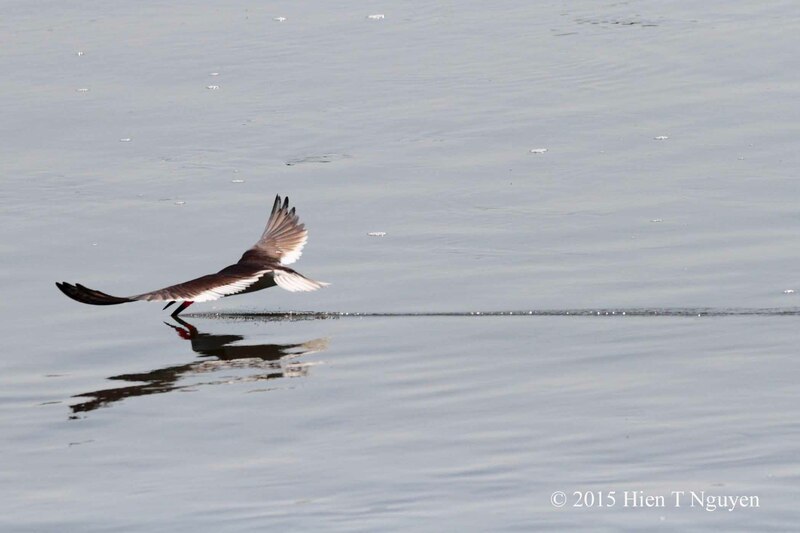 Great captures, love the skimmer in action! Stunning photos – I can imagine them quite clearly from your description and photos. Thanks Emma! This is one of nature’s unusual creation, with a lower beak customized for catching fish. These are another species of bird that I wished lived in the Great Lakes area, as I’d love to watch them in action. Loved your images of them! That’s too bad, Jerry. You would have a great time photographing these birds!